We are moving to our new home this week. I just found out today that the local satilite service I use will not be available at our new house. I called Verizon, the DSL provider and they will not be able to get me up and running until the 31st of May! So, no new posts for 2 weeks :( Sorry everyone! Expect a lot of posts when I get the net back up and running. UGGGG! My fascination with fiddlehead ferns began as a young child when my Mother told me stories of her collecting the young curly tops for food. For fun and tradition she had me do the same. Northwest tribes had many uses for plants most people now find so familiar, they often view them as a nuisance or as weeds. Most people tend to disregard these familiar plants or grow them in their gardens as ornamentals without any thought to their history or use. 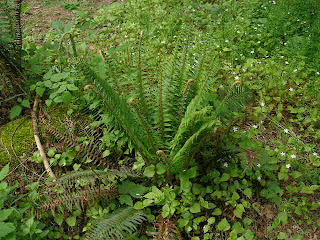 Nearly every single bit of the sword fern plant was used by Pacific Northwest Native Americans. The rhizomes were peeled and baked in a pit, then served with fresh or dried salmon eggs; its leaves were used to line the baking pit, as well as for mattresses. The young leaves were chewed to soothe a sore throat. The Quinaults boiled the roots and washed their hair in the resultant water to cure dandruff. Lummi women chewed the new, curled leaves to hasten childbirth. Source Valerie Easton Native Times. General Description: Fiddlehead ferns are new-growth fronds, usually of the ostrich fern (Matteuccia struthiopteris). The name “fiddlehead” refers to any unfurled fern, not to a particular variety, because of their resemblance to the scroll of a violin (or fiddle) head. Fiddleheads taste like asparagus combined with artichoke. Note that fiddlehead ferns should be consumed very young and in limited quantities, because of risks that they are carcinogenic. They must be cooked before eating to remove bitterness and minimize gastric problems. Season: The fiddlehead fern season lasts about 2 weeks in any locale, starting in early April in the South through late July in Canada. Purchase: Choose fiddleheads that are bright jade green, springy, and firm. Avoid: Avoid fiddleheads with excessive fuzzy brown scales. Any scales should not be at all blackened. Storage: Fiddleheads do not keep well. They should be wrapped in plastic, refrigerated, and eaten within 2 days. Trim the base of each fiddlehead, leaving only a small tail protruding beyond the curled section. Rub off any brown scales with your hands. Boil in salted water 3 to 5 minutes. If desired, add a pinch of baking soda to the cooking water to soften them and brighten their color. Serving Suggestions: Toss with butter and chopped herbs. Cool and toss at the last minute with mild vinaigrette. Treat like asparagus: drizzle with lemon butter, cheese sauce, or hollandaise. Toss with soy sauce and sesame seeds. A word of caution about preparing fiddleheads for consumption. You should boil or steam them for at least 10 minutes. Don't confuse the ostrich fern with the bracken fern, a poisonous plant scientists believe is carcinogenic. The two species look alike from a distance, and their fiddleheads are similar. An easy way to tell the two species apart is to look at them when they're mature. The bracken fern's leaves have branches. The ostrich fern's leaves have no branches, have a single stem, and emerge from the ground as though they are in a vase. The ostrich fern is a cheap and easy way to add beauty to your garden. They require little maintenance, but plenty of water. Cut off ends of fiddleheads. Remove scales and wash thoroughly. Bring water to a boil in a large saucepan; add shrimp and cook three to five minutes, or until done. Drain well, and set aside. Cook fiddleheads in boiling water for ten minutes. Drain. Coat a large, nonstick skillet with cooking spray; add margarine. Heat until margarine melts. Add onion and green pepper and saut� until crisp-tender. Stir in fiddleheads. Meanwhile, cook pasta as directed, without salt or oil. Drain well, set aside and keep warm. Add sliced mushrooms, thyme, pepper, salt and celery seeds to vegetable mixture; stir well. Cook, uncovered, over medium heat three to four minutes or until mushrooms are tender, stirring often. Stir in shrimp and lemon juice; cook until heated through, stirring often. Place pasta on a large platter. Spoon shrimp mixture on top. Serve immediately. Serves 6. 3 days away from the computer, hate to say it but loved it! 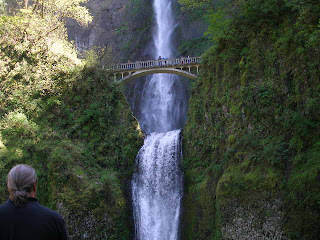 Went from this (picture left)- Multnomah falls on the Columbia River Gorge near where I grew up to (pic top) Crooked River in Prineville Central Oregon 2 hours drive away. Completely different climates. Prineville is very dry. Troutdale is windy and moist. 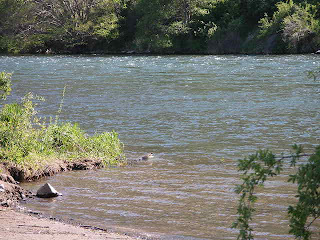 Alot more diverse plants in Troutdale, but Prineville has some new friends that I plan on finding, you won't find cattails, sage brush or Junipers in Troutdale, along with a lot more plants I plan on getting to know in Prineville this summer. I took some pictures of plants near the Gorge that I plan on identifying, look for those in my next blog post! Went out scouting yesterday for medicinal plants and wild foods. I am keeping an eye on this bush. Can't wait for the berries to ripen! 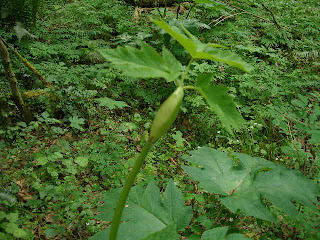 Wile your waiting for the berries to bloom you can eat the young shoots, they are usually surrounding the more mature bush that produces the berries (behind the above shoot in the picture is stinging nettle, these are usually around too, they have hairy stems instead of the more smooth salmonberry stem). They have a pleasant sweet flavor. 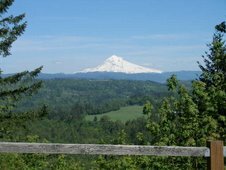 Some Oregon Native American tribes would gather the young shoots for food in early spring. The Rubus group also includes blackberry, cloudberry, dewberry, thimbleberry, wineberry and yellowberry. All species of Rubus produce edible berries that can be eaten raw or made into cobblers, jams, jellies and pies. The fruit also can be used in cold drinks, teas and salads and is easily dried and preserved. The fruit of some species is even used to make a liquor. 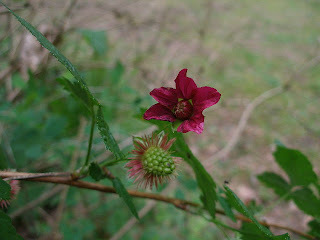 The dried leaves can be used to make tea, and tender salmonberry or blackberry shoots can be added fresh to salads. Rubus idaeus (raspberry) is noted to be a favorite household remedy. 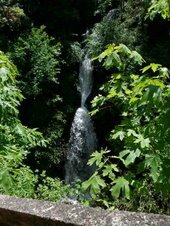 A leaf infusion was used to treat mild diarrhea, as a gargle for mouth ulcers and sore throats, as a wash for bathing varicose ulcers and sores, and as an eyewash. The berries are rich in vitamins and minerals and traditionally have been taken for indigestion and rheumatism. Rubus plants are commonly found in sunny thickets and mountainous areas, especially at higher altitudes (Angell 1981; Hedrick 1972; Medsger 1966; Peterson 1977). A word of caution for parents who make their own baby food. In a previous article I discuss chickweed. You may be thinking it's packed with nutrients, why not add to baby food? Chickweed like corn, celery, miner's lettuce, and many other plants, will accumulate nitrates under the right conditions. Nitrates can inhibit an infants ability to breath oxygen. Nitrates will accumulate in the plant where there have been nitrate based fertilizers in the soil and the plant has been under a variety of stresses. Since there is no real way of knowing the amount if any nitrates the plant may have, it is best to avoid using these plants for baby food in infants under 1 year of age. Nitrates can be properly metabolized in humans over 1 year of age. Click the picture behind the young shoot picture too see the plant in flower (for some reason it does not show on the blog post) top, young shoot, behind, plant in flower, lower flower bud top with young leaves. Photosensitizing agents What you should know before gathering this plant for food or medicine! When a substance causes the skin to be sensitive to sun the phenomenon is called photosensitization. If your going to be gathering this plant, realize that some people have a sensitivity to it when they gather it, and are exposed to sunlight. Nancy Turner in the book Common Poisonous Plants and Mushrooms of North America, attribute this to furanocoumarins. What happens with some people is you will notice a dark discoloration locally where the juice has touched, you may have some pain, sensitivity or itching. The dark color will slowly fade, for some it takes longer than a year. According to Turner, this can cause cell damage to the skin. I have very sensitive skin so I always where gloves and long sleeves when collecting, I also make sure I where pants if I am going to be walking in an area where I know cow parsnip is growing. Take a sharp knife (don't try to grab with your hands and break the stalk). When you get back to the processing area, be careful there as well. The above picture was taken before the plant has flowered, this is the best time to eat Cow Parsnip. this is an acquired taste to say the least, if you want to include the flowering bud (before it has flowered) in a stir fry I would suggest boiling and pouring off the water several times before eating. In fact, due to the furanocoumarins, eating raw could may be a danger to your face and mouth. They have a super strong flavor like celery mutating into some weird alien, so a little dab will do ya and I wouldn't eat alone, add a little to stew, stir fry or soup. You could dry the buds and use as a spice. 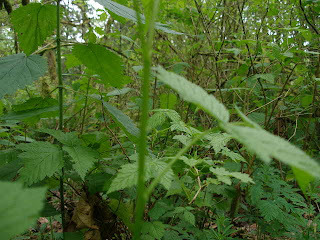 The young leaves are edible (in the picture above the bud) they are more mild than the buds and also can be added to soups and salads. 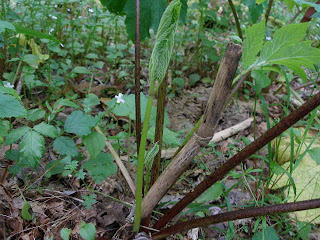 Some Native American groups used to eat the young stem (above picture) just as the shoots are coming from the ground, they also ate the upper most flowering bud stem, peeled. The thin and stringy rind is where all the strong flavors are, once the stalk is peeled it is much more pleasant to eat (make sure all the rind is off). Use the peeled stem like you would celery. The stem is hollow so you could stuff it with peanut butter, mushrooms, whatever your imagination can think of. The further down the stem you get, the less sweet and palatable. You can also harvest the upper most segment giving rise to the flowering bud (before the plant has flowered) You should boil and leach it first, up to seven water changes, the more you do this, the milder the taste will get. These plants like moist soil and can often be found on road sides & margins of forests across the US excluding the southern margins. This plant smells like celery on steroids. Don't gather a bunch and put them in an enclosed space like a car, the smell after a while will really start to get to you, it has even been reported to cause head aches. 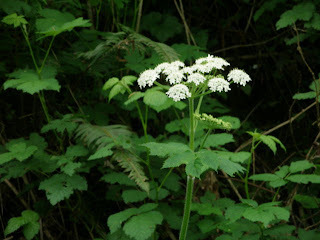 Also make sure you know the plant you are gathering, don't mix it up with the poison hemlock family. The best thing to do is watch the plant through it's whole growth cycle, be sure it is indeed a cow parsnip, go back the next year to collect. Sometime you can find a flowering plant in early spring next to plants that have not yet flowered. Poison Hemlock has purple spots on the stem and does not have the small hairs. Cow parsnip Heracleum lanatum has been used medicinally. The root for toothaches (placed directly to the area) or you can also use a tincture of the root or seeds, it is less irritating to the gums than cloves. The root and seeds are used as an antispasmodic to the intestinal tract. If used in a tea, make sure it is dried first, the tea is used for nausea of a persistent nature, when you have not yet vomited, as well as acid indigestion and heart burn according to Micheal Moore in Medicinal Plants of the Mountain West. The seeds tinctured are effective for stomach aches, the dose should be one or two drops. Do not use this plant during pregnancy or nursing. Vitamin K facilitates the action of calcium in building bone and clotting blood. Many people in America may be taking drugs that effect the absorption of Vitamin K.
Worldwide, only a handful of researchers study vitamin K—long known for its critical role in blood clotting. But with the aging of the U.S. population, this vitamin may command a bigger following as its importance to the integrity of bones becomes increasingly clear. It activates at least three proteins involved in bone health, says Sarah Booth. She is in the Vitamin K Laboratory at the Jean Mayer USDA Human Nutrition Research Center on Aging at Tufts University in Boston. "Not too long ago," Booth says, "it looked like Americans consumed several times the recommended dietary allowance for vitamin K. But improved analytical methods show that the vitamin isn't as abundant in the diet as once thought." • mechanism: Steroidal anti-inflammatory drugs (including prednisone) cause increased loss of vitamin K through the urine. Though widely observed, the clinical implications of this pattern remain unclear. I have a client who has an undiagnosed inflammatory condition, she was given prednisone to treat it. 2 years later (using prednisone the whole length of time) she has received 2 hip replacements, and her lumbar area is decreasing in bone mass. Not once has the Doctor suggested anything about vitamin K, it's role in bone health or diet modification. 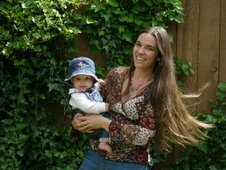 It is also important to note, she had irritable bowel symptoms and vitamin K2 is made by intestinal bacteria. Antibiotics also have an effect on vitamin K absorption in the gut. So it seems when it comes to bone health we should be thinking about vitamin K along with Calcium. Booth says (from ards.usa.gov) that as much as 30 percent of total vitamin K intake may come in the form of dihydrophylloquinone (found in hydrogenated oils), but it is less biologically active than phylloquinone ( found in organic soy bean oil, dark green vegetables). In fact, it was half as active with a clot-forming protein and was completely inactive with a bone-forming protein. "So hydrogenated oils shouldn't be considered an important source of vitamin K," she emphasizes. • The naturally occurring forms of vitamin K are all fat soluble. They are stored in the liver, though not to any great extent. Stable to heat and reducing agents, they are destroyed by light, acid, alkali, oxidizing agents, and alcohol. 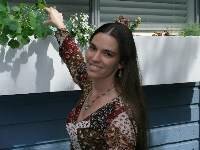 • Most supplemental forms of chlorophyll, as a vitamin K source, are water soluble. • K1: phytonadione or phylloquinone (Aquamephyton): is a natural derivative from fish or plants. • K2: menaquinone: fat-soluble form made by intestinal bacteria. • K3: menadione: the synthetic water-soluble form tends to have a greater degree of toxicity. • Vitamin K1 is absorbed in the upper GI tract and requires bile salts for absorption. • Vitamin K acts as a cofactor in the final synthesis of proteins with a modified amino acid residue. This modified glutamic acid residue is found in bone proteins and can bind onto calcium ions to cause calcification.It is also found in the blood and along vessel walls, and along with platelet-derived phospholipid, binds calcium, and is an integral part of the clotting process. • Vitamin K facilitates the action of calcium in building bone and clotting blood. • Vitamin K is involved in the synthesis of a protein, osteocalcin, which is found in high amounts in bone. It allows calcium ions to bind, thus resulting in the calcification of bone. • Vitamin K is involved in the synthesis of a kidney protein that functions in the inhibition of calcium oxalate stone formation via its ability to bind onto calcium in the kidneys. • Vitamin K is involved in the synthesis of proteins C and S. These two proteins, formed in the liver, promote fibrinolysis and anti-coagulation. Thus, they are involved with reducing inflammation. • Lettuce, spinach, kale, cauliflower, cabbage, egg yolk, soybean oil, liver, kelp, alfalfa and other green plants, cow's milk, liver. Leafy green vegetables are the single best dietary source of vitamin K because of their high chlorophyll content. • Probiotic flora in intestines with a healthy ecology normally manufacture vitamin K.
• A clinically significant vitamin K deficiency, as manifest by uncontrolled bleeding, is rare. Those cases which do develop are usually associated with malabsorption diseases. • Infancy: Hemorrhagic disease of the newborn has been related to Vitamin K deficiency. This is due to poor transport across the placenta: especially with premature infants. Also, because of the relatively sterile infant gut, the ability to make vitamin K is impaired. The practice of supplementing pregnant women with vitamin K and providing vitamin K to newborn infants has significantly reduced the risk of deficiencies among infants, especially those who are breast-fed. • Easy bleeding in children: especially spontaneous nose bleeds. • Osteoporosis: A deficiency of vitamin K leads to impaired bone mineralization due to inadequate osteocalcin levels. • Vitamin E may interfere with the absorption and utilization of vitamin K.
When you are pregnant you get advise from all different angles, "you have to have a schedule" "This is what you must do" this way or that way is the way to go "Well this is how I did it". You want the best for your child so you listen. After a while it begins to sound like white noise. After Ella was born I did what I call a "babymoon" Just like a honeymoon no visits, just Ella her Dad and I for the first week. I do what resonates with me. As women I believe if we just listen to our inner voice we instinctively know what to do. I see the women with their baby wraps working the fields, baby in tow. Ahhh, That image, it stayed with me. Ella goes everywhere with me, we are connected. Today we went to visit a friend, she said, "I love the way she looks at you" That made me smile. My Mother comments on how much "patients" I have, but for me, this is just something that comes naturally, she forgets I learned it from her. 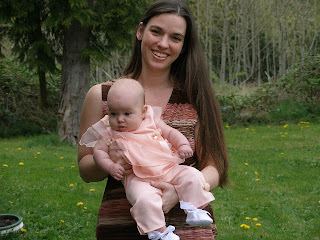 With Mother's day approaching, being a new Mom, I suppose I think of this subject more. 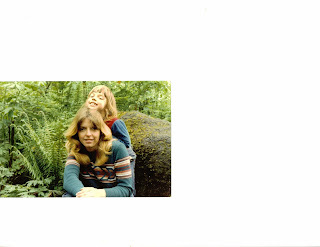 Being a Mom is not something I got from the latest trend in mothering books, it was from my own Mom & Grandma. The memories of gathering of plants, the days in the garden & kitchen with Grandma, days on the beach & in the woods with my Mom. As soon as we would get to the Ocean, we would take off running full blast out into the waves, laughing as the 45 degree water would splash over our heads "smell the air, isn't it incredible!" she would say "Look over there, star fish!". Collecting shells and rocks "ooo look at this one, isn't it beautiful" Mushroom hunting near a hidden creak, "now don't tell, this place is special" we would find magical fossils there. Enjoying nature and stopping to marvel at the beauty of it. Long road trips on a whim, watching the landscape change from green to desert brown, the animals change from raccoons to turtles. The smell of the fireplace burning on a crisp fall day, running in to greet my Mom sitting by the fire and enjoying the view. Collecting pine branches to make Christmas wreaths. Planting flowers with Grandma, tending to them, and discussing the stories about the ones that were there. Climbing the tree having Grandma talk me down. Baking in the kitchen. 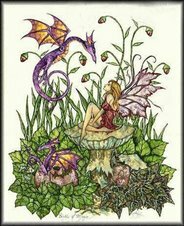 Learning to garden the wise woman way "How do you know when the plants need to be watered" I asked "Oh I don't know, sometimes the reach out to touch me as I am walking by"Mom getting me chamomile tea for my nightmare. Collecting rhubarb, cutting my finger, having Mom there to kiss it. Being there with my Mom for the birth of my sister and brother when I was 17 and marveling, as I watch her do it all over again. Love you Mom and Grandma, Happy Mothers Day! In a 1997 study at John Hopkins University, it was found that broccoli sprouts contained as much as 50 times more of the anti cancer compound sulforaphane than fully grown broccoli. The sprouts hit their highest amount of concentration when they were 3 days old, when the shoots have their 2 baby leaves. Sulforaphane prompts the body to make an enzyme that has been shown to prevent tumor growth according to the study. Sulforaphane levels varied greatly in the full grown broccoli when tested. Sprouts are easy to grow any time of year & they taste great! 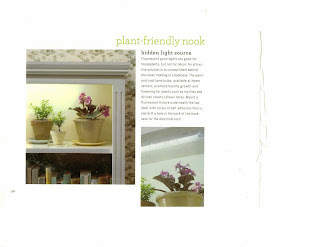 Place a plant light inside the top of a book shelf (as shown in the picture above), grow them right in your house! Add them to your salads & sandwiches, make a stir fry, place as a garnish. Put 2 to 3 beans, seeds, or grain in a screw top mason jar, half fill the jar with luke-warm water. Leave to soak overnight. Bean sprouting tops can be bought at your local wild foods store or you can make one from some muslin, cheesecloth or gauze and a preserving ring or rubber band. Poor off the water, use the water for your plants. Rinse once or twice and stand the jar upside down until the water drains out completely. Keep the sprouts in a dark area or cover them with a kitchen towel until you see they are germinating. At this stage, bring them into the light to develop their green tips. Rinse once or twice daily until the sprouts are about 3 cm long or have 2 baby leaves. Do not leave them standing in water or they will quickly rot. They increase their size rapidly, don't sprout too many at once. Wash jar thoroughly between sprouting. Prepare as much as you will use in 2 or 3 days. OK I like coffee, before everyone wants to tell me how bad it is I am just going to say. It is a tradition in our family. My Grandma was from the Ozark mountains from a family of 16, she told me they drank coffee every since she could remember. My Grandma then married and moved back and forth from Arkansas to Oregon following the farming crops. They had 10 kids my Mom being the youngest. My Mom remembers having a biscuit in a cup of coffee when she was as young as 5 years old before they went out to the fields to work. Before you want to start a rant about the health ramifications, my Grandma lived to be 97, raised 10 kids and worked a farming lifestyle her entire life, was healthy right up to the end. My family tends to have low blood pressure, me included, so that first cup is great to start the morning off with. I love my herbal teas, don't get me wrong, but that one cup of coffee is a must for me. OK, time to get to the point. Decaff, one more reason to just drink regular coffee, have you ever wondered how it is made? What happens when you take the constituents out of the coffee bean? What about the health benefits, if any? Well it turns out there has been studies showing benefits of regular coffee, but decaf- that's another story as explained below. There are two types of decaffeination processes. The first is called the Swiss Water Process method. Decaf coffee made with this method can be found at most gourmet coffee shops, organic food grocery stores. The other decaffeination processes use some sort of a chemical solvent. There is also a specific variation of the chemical process termed the Super Critical Carbon Dioxide method. In all of the decaffeination processes, the green coffee beans begin the journey by being steamed and/or soaked in water. This makes the caffeine soluble and primed for extraction. The Swiss Water Process is popular among its advocates because it does not use chemicals. Instead, a green coffee extract is used. This green coffee extract is almost caffeine-free. Due to chemical solubility laws, the caffeine will move from an area of higher concentration (the bean itself) to an area of lower concentration (the extract). Since the extract contains essential oils and the other valuable components of the bean, mostly caffeine seeks its way into the extract and leaves behind the desirable components of the coffee. Done properly, this organic method successfully removes 94 - 96% of the caffeine while it retains more of the flavor compounds present in the essential oils than the chemical methods. Keep in mind that Swiss Water Process coffee beans are generally more expensive than beans treated with a chemical solvent. This is due to the fact that Swiss Water Processing almost always accompanies high-quality arabica beans, while chemical processes are used on both arabica and robusta beans. The chemical solvent method is the most commonly used method for removing the caffeine from coffee. Chemical methods remove the caffeine better than the Swiss Water Process method because the solvents used can target caffeine most evenly and effectively. Common solvents include methylene chloride, ethyl acetate, and highly pressurized carbon dioxide. After the green beans are moistened they are then immersed in the solvent. After the solvent performs its action, the beans are rinsed with water. After the beans have been rinsed, they are steamed. Residual solvents evaporate in the steam. The rinsing and evaporation systems collect the solvent for recycling and re-use. Any remaining solvent will be burned off in the roasting process. The chemical caffeine method will remove 96 - 98% of caffeine. The tannins are what give the coffee it's distinctive taste, and the bitterness is all part of the experience. If your going to drink decaf, you are not really drinking coffee at all in my opinion, why bother?